As part of an initiative to contribute to student affairs practice and respond to the demands of an increasing population of diverse identities on college and university campuses, opportunities to explore and contribute to the pipeline of student affairs professionals from traditionally underrepresented populations have been identified. Responding to this initiative involves students engaging in and flourishing within a campus National Association of Student Personnel Administrators (NASPA) Undergraduate Fellows Program. The mission of the NASPA Undergraduate Fellows Program (NUFP) is to increase the number of historically disenfranchised and underrepresented professionals in student affairs and/or higher education, including but not limited to those of racial and ethnic-minority background; those having a disability; and those identifying as LGBTQ. Through mentoring students from traditionally underrepresented and historically disenfranchised populations, a primary outcome of NUFP, this semi-structured program diversifies and broadens the pipeline of the student affairs profession. If accepted into the program, students are considered Fellows, part of the NUFP student group at Texas A&M, and have opportunities for scholarships, on-campus mentorship, and professional development events. The Department of Multicultural Services will help coordinate the Texas A&M NUFP student group and assist with facilitating the process of seeking mentors, identifying prospective students, hosting information sessions, assisting with application processes, coordinating mentoring identification processes and assisting with attending professional development events. Mentors serve a critical role in executing the goals and objectives of NUFP by engaging Fellows in mentoring and networking experiences, providing Fellows with knowledge, insight, and understanding of the professional opportunities available in student affairs and higher education, and creating developmental experiences. Mentors meet with Fellows in informal sessions at least once per month to help develop an understanding of student affairs and higher education as a career. Fellows are provided specific professional development opportunities as a part of the NUFP program. There is funding available to sponsor Fellows to attend NASPA Conferences around the nation upon submission of a sponsorship application through the Department of Multicultural Services. Fellows who have not attended an Annual or Regional Conference, as well as those who have remained active in correspondence and engaged with the NUFP program at Texas A&M University will be given priority selection to attend these conferences when they submit their application for conference sponsorship. Fellows are invited to apply to and attend the Dungy Leadership Institute (“DLI”), a six-day leadership institute offered twice during the summer and focused on developing leadership skills, enhancing cultural competencies, and preparing students for careers in student affairs. To be considered for admission to NUFP, each applicant must meet the requirements listed below. Have at least two more semesters of undergraduate education left at time of application. Scheduled in the Spring semester, NUFP Information Sessions will provide students the opportunity to learn about the student affairs profession, an introduction to the NUFP program, as well as how they will be supported by the Division of Student Affairs if selected upon application. Promotion activities will continue through October for Careers in Student Affairs Month. Each session will be around one hour – 30 minutes of formal presentation, 15 minutes of group question and answer, and 15 minutes of one-on-one questions and networking. Scheduled before the Spring application deadline, NUFP application workshops provide undergraduate students the opportunity to review the application process, as well as gain insight into how to develop a competitive application. Application packets will be submitted on behalf of students by the Department of Multicultural Services. 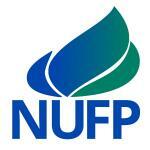 The experiences afforded NUFP Fellows will be on a graduated level by classification. Fellows will have opportunities to take part in the NASPA Regional Conferences, Pre-Conference, Annual Conference, summer internships, and the Dungy Leadership Institute. an understanding of NASPA’s organization and structure. October is Careers in Student Affairs Month! Join NASPA in celebrating our profession and participate in some of the activities for the month. Check out the link below for more information. For additional information about the nationally-recognized program, please visit: https://www.naspa.org/constituent-groups/professionals/nufp. Applications can be viewed at: https://www.naspa.org/constituent-groups/professionals/nufp/get-involved. If you are interested in becoming a mentor, or nominating a student to be a part of the NUFP program at Texas A&M University, please contact the Texas A&M NUFP Program Coordinator, Lisa Kappil, at lkappil@dms.tamu.edu.